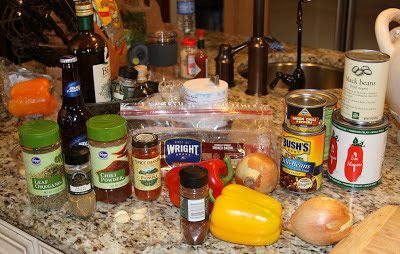 Once the bacon is browned, drain off at least half the bacon fat and add the garlic, onions, bell peppers, chili powder, cumin, ancho chili powder, oregano, and smoked paprika and season with salt and pepper, to taste. 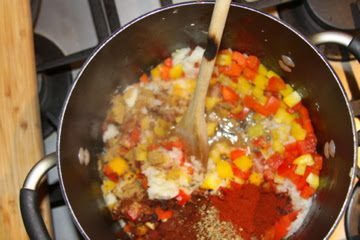 Cook until the vegetables are tender and seasonings are aromatic. 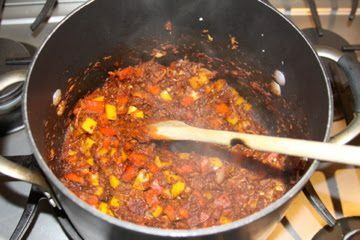 Add the beef and break it up with a wooden spoon. 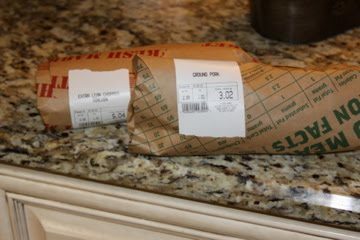 Once beef is broken up and beginning to brown, add the pork. Break up with wooden spoon like the beef, and brown, until no longer pink, roughly 4 minutes. 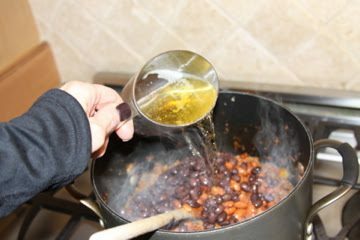 Stir in the beer and beans. 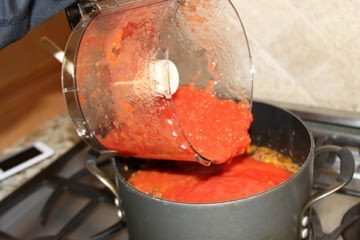 Toss together, then add the crushed and diced tomatoes. 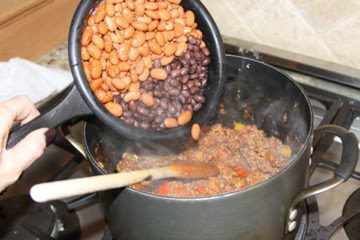 Turn the heat down to low and simmer for 1 1/2 hours. 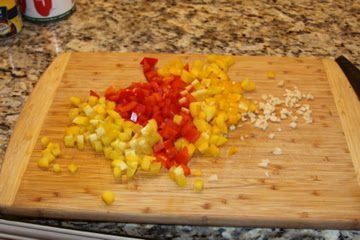 Taste for seasoning and add salt and pepper, if necessary. 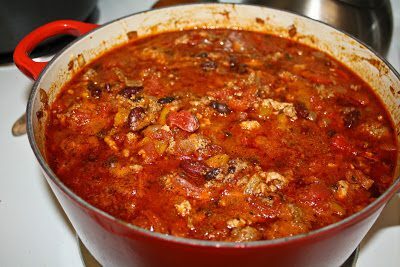 Transfer the chili to serving bowls and garnish with lime wedges, sour cream, shredded cheese, and sliced scallions. DELISH!! !